Before I get into the actual method of soaking beans, let me give you a few reasons as to why you would want to soak beans in the first place. 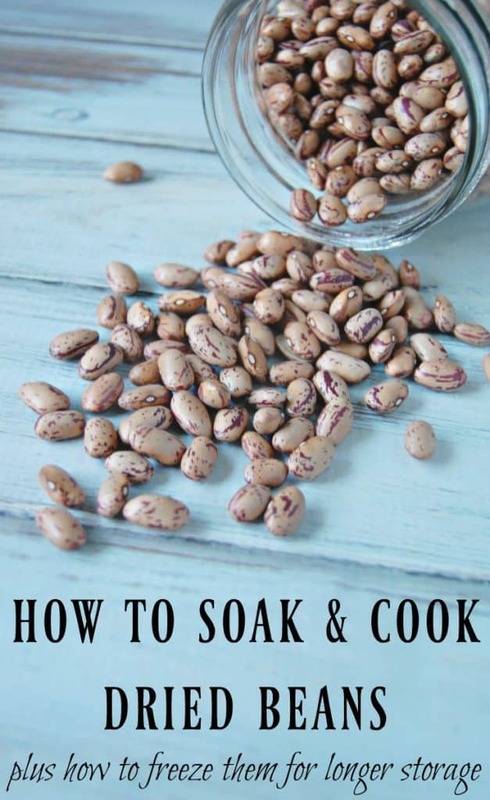 One reason that you’d want to soak beans is because buying dried beans and cooking them yourself (as opposed to buying canned beans) is the frugal way to go. You can save a lot of money buying dried beans. Of course, cooking dried beans takes a bit of your time but I think that’s worth the money you save. Soaking beans prior to cooking them will reduce the cooking time. This means you don’t have to spend so much time in the kitchen cooking beans. Granted you do have to do a little work when you are soaking your beans but it’s not enough work to call cooking and it’s not more than a minute of kitchen time. Soaking beans enhances mineral absorption. I’ve talked about why you should soak your grains before. Just like whole grains, beans contain phytic acid which blocks certain nutrients such as iron, magnesium, calcium, and zinc from being absorbed. When you soak beans, you help break down the phytic acid and your body can then absorb more of the nutrients that are in those beans. Soaking beans can help you avoid that whole “beans give me gas” issue. Who wouldn’t like to avoid that? It is the complex sugars that are in beans that cause gas issues for some people. When you soak beans overnight, the beans release enzymes which help break down those complex sugars, thus removing the potential for gas. Now that you know why you should soak beans, here’s how to do it! Simply place beans into a bowl or crock pot (do not turn crock pot on). Make sure to leave plenty of room as beans will double in size after soaking. Cover the beans with warm water by an inch or two. Place lid on bowl/crock pot. Let beans soak for 24 hours. It’s best to try and keep the beans soaking in warm water throughout the 24 hours but do not go crazy over it. I usually just change out the water 3 times during the 24 hours. After your beans have soaked for 24 hours, drain and rinse them. One way to cook your beans is in the crock pot. To do this, add new water to the beans in the crock pot so that beans are covered. Turn crock pot on low and cook for 6-8 hours. Different beans cook at different times so it’s best to start checking after the 6 hour mark so that you do not overcook your beans. You can also cook your beans on the stove top. Just place soaked beans into a large pot, cover beans with water, and bring to a boil. Once boiling, reduce heat to simmer, cover, and cook for 1-2 hours. 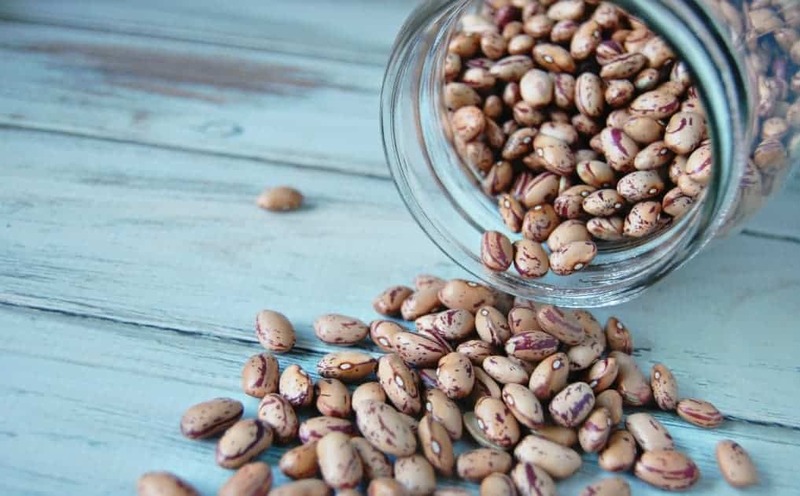 Note on Kidney beans: Kidney beans contain phytohaemagglutinin which can actually make us ill. Thankfully, it’s easy to remove this toxin from kidney beans. Simply soak and then boil them for 10 minutes prior to cooking the beans. After boiling the kidney beans, you can cook them in a crock pot or stove top. Once beans have finished cooking, allow to cool a bit. Rinse and drain the beans, then place them into mason jars or freezer container of choice. I have always wanted to do that and did not know the best way. Thank you! I have had so many questions about how to deal with beans over the years so I am delighted that you shared this helfpul guide to canning soaking cooking and freezing beans at the Healthy Happy Green & Natural Party. I’m Pinning and sharing this!